The biggest problem facing the garden machinery service department these days is that of stale petrol. This causes poor starting, bad running, poor power, and damage to fuel system components. Normal unleaded petrol has a shelf life of only 30 days. A solution to this is to use Aspen Fuel which will last for 5 years! Aspen 2-stroke and 4-stroke alkylate petrol is the cleanest form of petrol that is today available on the market. 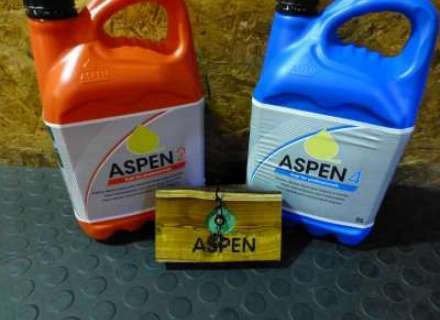 Aspen fuel is available in Devon from ourselves. Due to the increasing concerns regarding the safety of our employees and customers, our policy is that we no longer use ordinary 'pump' petroll in our workshop. We will only be using ASPEN FUEL from now on. We have introduced this policy to address health concerns surrounding the use of regular fuel in our work environment. 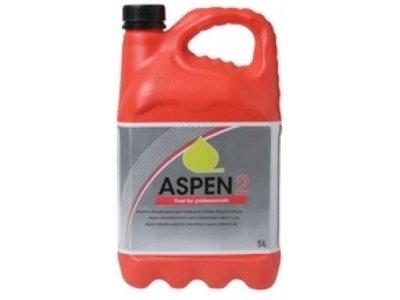 Does petrol really go stale?, Yes it does, but Aspen 2, clean burning, premixed 2 Stroke fuel stays fresh indefinitely. Aspen 4, the modern fuel for you lawnmower.